Tubular Rivet 10 Pack with 10mm head diameter. This Tubular Rivet is very easy to use, the two parts snap together and to bond them into position you simply tap them together with a hammer. 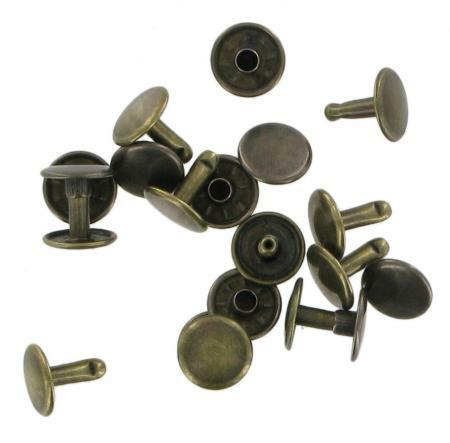 This rivet is available in antique brass or gun metal finishes (make choice from pull down menu) and is useful for attaching handbag straps,securing belts and straps and also for other decorative leather work. They are supplied in multiples of 10.